At this time of the year it is difficult to go into a supermarket or garden without seeing daffodils on sale or display, and every March since 1986 Marie Curie Cancer Care has been holding a Great Daffodil Appeal to raise money for its work in providing care and support for terminally ill people and their families in the UK. 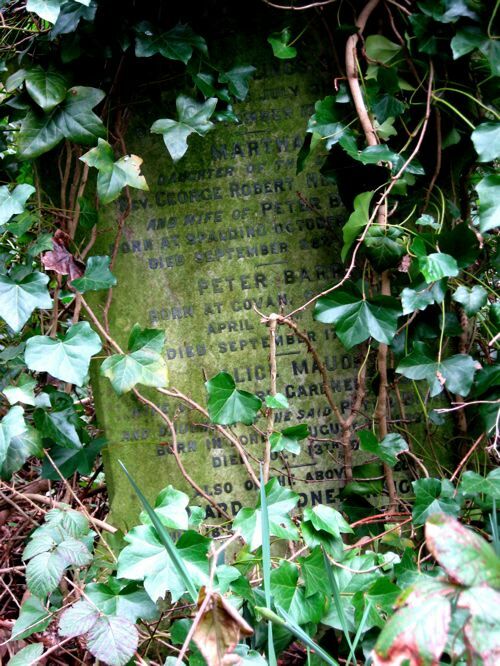 But the present popularity of the daffodil might not have come about without the efforts of Peter Barr, who is buried in Islington Cemetery. In later life Barr told an interviewer, ‘I was born within a few yards of a tulip bed, and I have been amongst flowers ever since.’ His father was the owner of a muslin-weaving mill in Govan, Lanarkshire, and a keen gardener with a fine collection of tulips. When the mill ran into financial trouble, ten-year-old Peter – one of twelve brothers – had to find work and became a weaver’s assistant until his father, recognising a developing interest in horticulture, got him a job as an errand boy in a Glasgow seed shop. He rose to become the shop’s manager, and then took a succession of posts as either manager or partner in horticultural concerns in Newry, Worcester and London until in 1861 he went into partnership with Edward Sugden at 12 King Street (‘opposite the Garrick Club’), in Covent Garden. 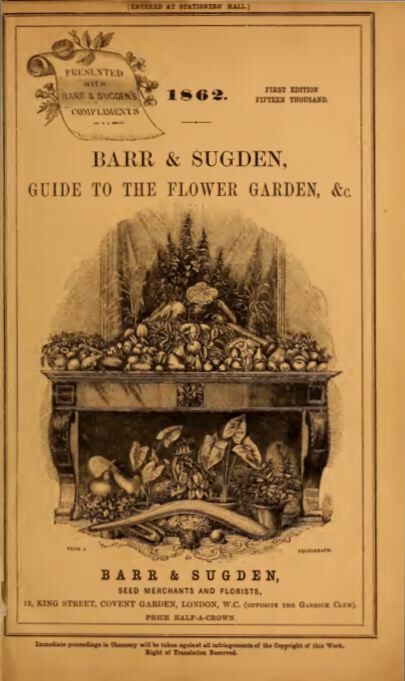 Barr & Sugden issued lengthy bulb catalogues, and a nursery was established in Tooting where Barr experimented with lilies, hellebores and tulips, and began a systematic identification of garden plants. An 1862 catalogue from Barr & Sugden. By 1872 they were printing 30,000 of their spring seed catalogue. 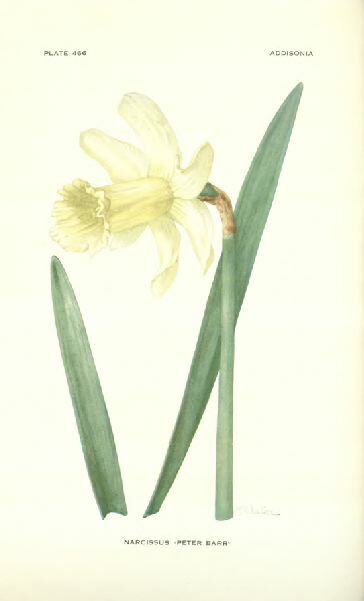 Eventually Barr turned his attention to daffodils (Narcissi), which by the mid-1800s were widely regarded as wild flowers unfit for gardens and had few British suppliers. Having read that 94 varieties of daffodils had been growing in British gardens in the early 1600s, he went in search of the lost varieties. 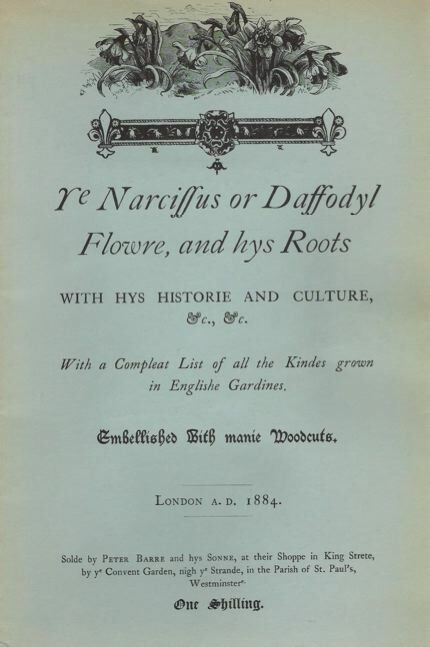 He bought up the hybrids raised by other enthusiasts and set about classifying them, publishing a list of 361 in Ye Narcissus or Daffodyl Flowre, and hys Roots, following a daffodil conference organised by the Royal Horticultural Society (RHS), largely at his behest, in 1884. In 1890 a four-day RHS daffodil show demonstrated the success of Barr’s promotion of the flower among gardeners and commercial growers, and each year his own nurseries – by then relocated to near Surbiton – put on a spectacular display of some 2 million plants. The Gardeners’ Chronicle dubbed him ‘the Daffodil King’. [2 April 1887] Started up the river Rio la Barbane. N. Ajax higher up at Barbados. N. Johnstoni, further on got some bulbs from a farm house. The woman there stated that there had been many Narcissus in the neighbourhood but the proprietor had destroyed them. I think if a coach were taken beyond this point one might find something probably N. Johnstoni. [1 May 1887] At the Hotel, they baked my shoes in the oven and destroyed them. At 9.50 a.m. took train for Gijón. People told me there were Narcissi at Gerin, Prados de Granaria, and Astacao. At Veriña I was told there were many Narcissi growing in in the meadow and this is not at all unlikely as there is a river and hills near, and at Veriña there were Narcissi growing in the station garden. [16 June 1887] Started on horseback 5 a.m. and remained on its back as far as it could go. When the horse was done up, Passet and I, started on foot over the snow and reached the mountain ridge and country between Spain and France. On descending had splendid views of valleys and mountain peaks. Further down we were challenged by soldiers who wished to know who I was. In the distance was a posse of soldiers awaiting our approach so we got a public and military reception at Baucharo. It had been reported that Torelle a famous bandit was about to enter Spain and I was suspected of being the man. Travelling alone, on one occasion in Spain when only a twin-bedded room was available in a hotel he so much resented being expected to pay the full rate for the room that he spent half the night in each bed. Although over 70 year of age, he is a keen observer, with a remarkably retentive memory, and is much more active than many men 20 years his junior. As he strolls about in a garden he will tell you the family history of each flower or plant that catches the eye. Under his guidance the hidden beauties of plant life unfold themselves in such numbers that the dilettante flower-lover feels utterly abashed. No one can realise how a man can love a flower until he has seen Mr. Barr take a bloom in his hand, and turn its face towards his own. The innocent delight in his eyes, the gentleness and fond delicacy of his touch, are good to see. But he was caught out by a hoax perpetrated at the Tatura horticultural show, also in Victoria, in October 1900. Having particularly admired one display there, he wrote to the local paper, ‘Those who visited the Tatura show must have seen Iris Painted Beauty … The flower is pure white, veined all over with rich rosy red … It is an iris worthy of world-wide fame.’ Unfortunately the supposed novelty turned out to be just a common white iris whose stem had been stood in red ink. He returned to the UK in 1903, and in that year a hybrid Narcissus named in his honour was put on sale at £50 per bulb – equivalent to well over £5,000 today – an extreme example of the prices that the best hybrids could command, although the buyer who negotiated the purchase of the two smallest bulbs for the price of one later declared it the most profitable investment he had ever made. (By the time of Barr’s death the price had dropped to 10 shillings (50p) per 100.) 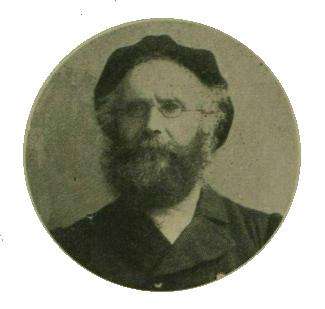 In 1897 Barr had been one of the first recipients of the RHS’s Victoria Medal of Honour. He settled near Dunoon, where he had two acres of garden devoted mainly to primrose and hellebores, and died of heart failure while visiting one of his sons in London. He was buried in Islington Cemetery on 21 September 1909. Every year since 1912 the Royal Horticultural Society has awarded the Peter Barr Memorial Cup for good work of some kind in connection with daffodils. A wonderful article. I especially enjoyed Barr’s description of trying to rise a lame horse. Thank you! Thanks, Suzanne – I’m glad you liked it. My father, Edward George Pedler, worked for Barr’s for awhile in the early 1900s, say after the 20s and I seem to recall him saying Peter B was his boss and told us of many anecdotes involving him – if only we have recorded them!!!!! He also worked for Dobbies and for the NHS in London. He certainly knew his stuff, but never realised his full potential, no doubt because of his five year stint in the army 1940 -45. He made a speciality of the narcissis in his working life and enjoyed exhibiting for P.H. Tonkins at local shows. THEN TO TOOTING HIS BULB HAUL DID BRING !! JOHN BYRNE 28 DECEMBER 2018……..